“Government intervention is required to help ensure that ESA is paid for a temporary period for those placed in the WRAG, thereby encouraging a return to work and stopping people being trapped on benefits for a lifetime”. b) Create a financial “back-stop” because the WCA is not working effectively. This can be automatically achieved through an effectively managed WCA programme – see above. 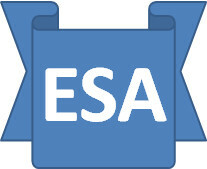 There is no logic or sound basis for “aligning” ESA with JSA. Being ill is NOT the same as being jobless. Ah, so at last we have the real reason! As you can see, there is no evidence-based information to support a 12 month limit, so it is completely arbitrary. This section of the IA requires the preferred option to be justified. The paragraph above does not constitute justification. It does not, for example, explain why say 18 months is a poorer option.